The Chaîne des Rôtisseurs, the world’s oldest and largest international gastronomic society, was founded in Paris in 1248. The Chaîne is based on the traditions and practices of the old French royal guild of meat roasters. These traditions from 1248 were revived in Paris in 1950. We now carry on those traditions. The Chaîne is devoted to preserving the camaraderie and pleasures of the table and to promoting excellence in all areas of the hospitality arts. Each year the society sponsors young chef and sommelier competitions that attract contestants from throughout the world. The Chaîne Foundation provides scholarships for students in these fields. The modern Chaîne des Rôtisseur’s has members in more than 90 countries. Our membership consists of gourmets, chefs, restaurateurs, hoteliers, winery owners, sommeliers, food and wine educators, and others who relish the camaraderie of friends while enjoying fine dinners and unique events. In the United States, there are nearly 130 bailliages (chapters), each offering a variety of culinary activities to suit the interests of local members. Our society is vintage, but our events are cutting edge! January 11, 1976 was the birth of the 38th Bailliage of the Chaîne de Rôtisseurs. It took place at a magnificent dinner in the Maison et Jardin in Orlando, Florida. Robert Uttal, who organized the Chapter, was inducted by Bailli Deleque Roger Yaseen supported by this predecessor, Zenon C.H. Hansen, Membre du Conseil d’ Honneur. We hold dear all the good friends and memories we have of the past forty-plus years and hope to continue for many more in harmony with the Chaîne. Several events are held each year from September until the following May. New members will be inducted into the Chaîne des Rôtisseurs at the yearly Gala Induction Dinner. Our Gala Induction Dinner will take place at Daytona State College, College of Hospitality and Culinary Management, 1200 W. International Speedway Boulevard, Daytona Beach, Florida 32114. Membership in the Chaîne is by invitation only and is extended to chefs, sommeliers, and hospitality professionals (general managers of hotels and other professionals from the hospitality industry), as well as fine dining enthusiasts of other professions. 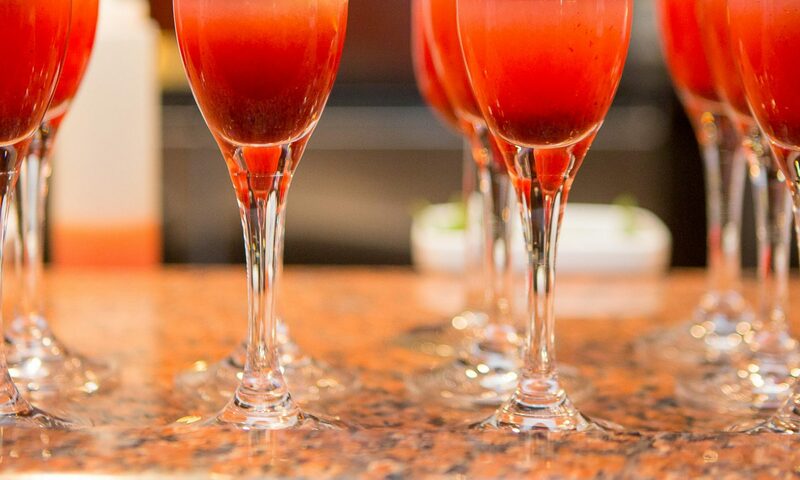 In the Orlando Bailliage we enjoy exceptional gatherings at Central Florida’s best culinary establishments, many of which have world-wide recognition. For everyone, it offers opportunities to meet people who share a common interest in fine dining, fine wines and good fellowship. The Orlando Bailliage is associated with the Confrérie de la Chaîne des Rôtisseurs, Bailliage des Etats-Unis, which is a national chapter of the Chaîne’s international organization. The location of the international headquarters is Paris, France. More on the United States organization: ChaîneUS.